Let's start by straightening out the common misconception that Elvis Presley was a Cadillac man who painted his cars garish colors and customized them wildly, demonstrating (say his critics) a lack of taste and refinement. The reality is that Elvis' taste was bipolar - sometimes conservative, sometimes all flash. His home, Graceland, is a stately dwelling; Elvis bought it in 1957 and left the exterior tastefully unchanged. Inside, some rooms are quite nicely decorated; others look like they've been furnished entirely with merchandise from roadside stands. The stairwell to the basement recreation rooms features mirrored ceilings and carpeted walls. Elvis had a flashy, purple and white, customized '56 Caddy convertible and commissioned George Barris to make a vulgar gold and white 1960 Cadillac 75 Series custom limousine. Yet Elvis also owned a black 1960 Rolls-Royce Phantom V, a black 1966 Rolls Royce Silver Cloud, a black 1960 Lincoln Continental Mark V Town Car limousine with padded roof, a black 1967 Lincoln Continental Lehman-Peterson Executive Limousine, a black 1969 Mercedes 600 Pullman limousine and other expensive, conservative vehicles which would look right at home on the streets of Philadelphia's Main Line, Hilton Head Island or the Hamptons. 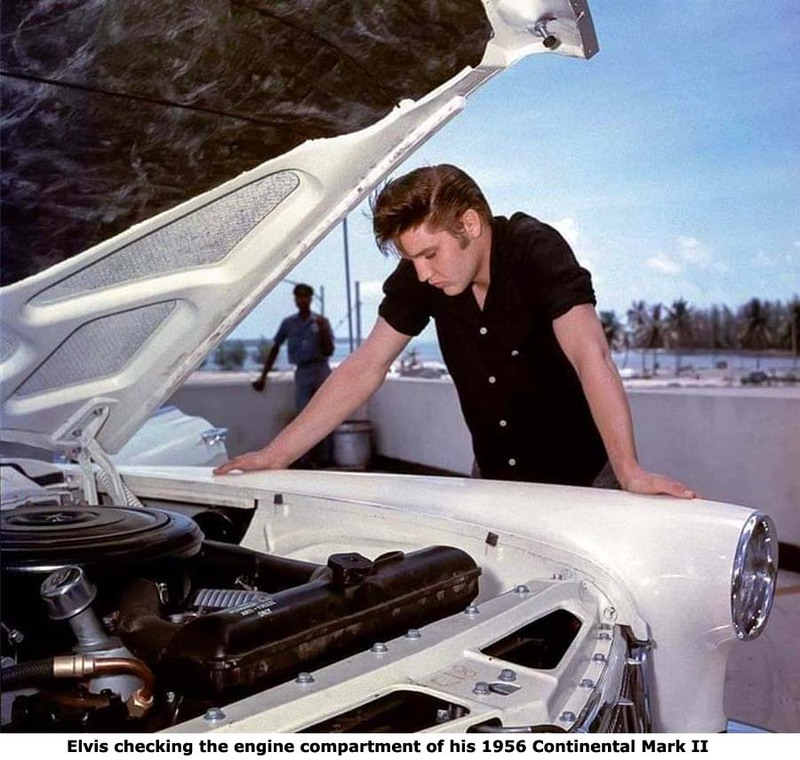 Elvis was definitely a car guy - with a broad taste in automobiles. Some of his notable and more exotic cars included two BMW 507 V-8 roadster (which he had during his Army days in Germany), red 1962 Ford Thunderbird Sports Roadster, a 1975 Ferrari Dino 208 GT4 (painted a subdued black instead of the ubiquitous red), four Stutz Blackhawks and a yellow de Tomaso Pantera which he shot when it wouldn't start. 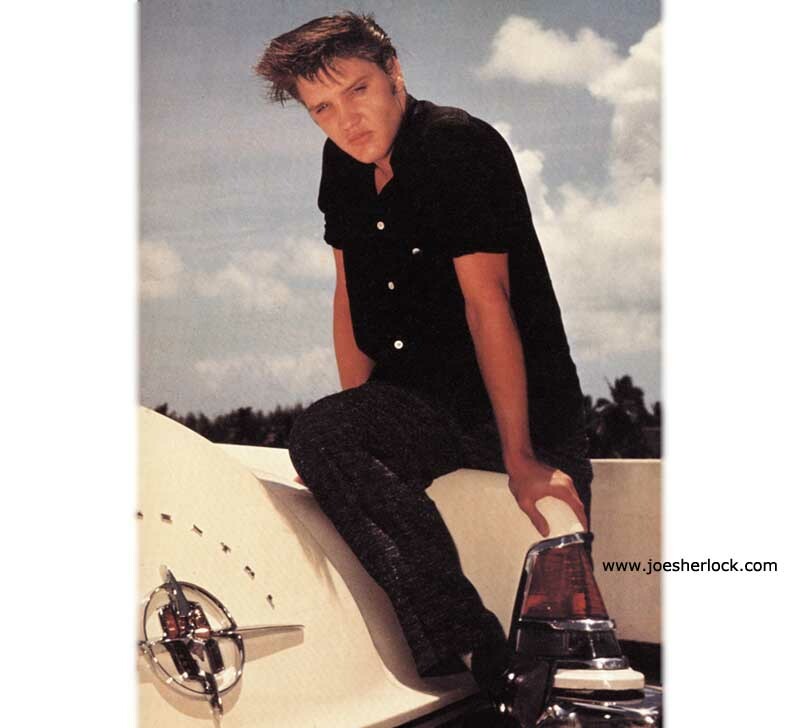 Was Elvis Presley a Cadillac man? Well, yes and no. Elvis bought over one hundred Cadillacs in his lifetime. But, except for the early years of his career, didn't buy them to drive. He bought most of them to give away to friends, fans and acquaintances. According to Greg Howell, Graceland's curator, Elvis probably drove more Lincolns and Continentals than Cadillacs. Lincolns played a special role in Elvis' life. Elvis' first car, given to him as a birthday present by his parents in 1953, was a Lincoln - a 1942 green coupe. It certainly wasn't mint - Elvis' dad, Vernon, only paid $50.00 for it - but it was a Lincoln. As his fortunes rose, Elvis bought other Lincolns - a white over wisteria 1956 Premiere coupe, a 1960 Hess & Eisenhart Town Car, a 1961 cream-colored sedan and others. In 1975, Elvis bought nine Mark IVs for friends at Schilling Motors in Memphis. But the most elegant, Lincoln-based automobile ever owned by Elvis was his 1956 white Continental Mark II. Elvis bought his Continental Mark II on August 6, 1956. It was serial number 3286, a white car with a white and beige leather interior and had factory air conditioning. It was a two-door hardtop; the only body style made by the factory. This Mark II was a DSO (dealer special-order) vehicle and was ordered with a white leather headliner replacing the standard fabric. It is the only Continental Mark II ever ordered with a leather headliner. The car rolled off the assembly line in late July. The delivering dealer was Miami Lincoln Mercury of Miami, Florida. It is known that Elvis was on a concert tour in Florida in early August. Whether Elvis special-ordered the car, knowing that he'd be there in August to pick it up, is uncertain. Equally likely, knowing Elvis' impulsiveness and his ability to persuade folks to give him almost anything he wanted, is that he arm-twisted the dealer into selling him Mark II originally special-ordered for someone else. George Klein, a Memphis disc jockey and personal friend of Presley, recalled that Elvis got a great kick out of driving and being seen in his Continental and was especially tickled when a southern Lincoln Mercury dealer ran radio ads promoting the Continental Mark II with the tag line: "If you see one of these fine cars on the highway, there's a one in two thousand chance that Elvis Presley is driving it." He picked up girlfriend and movie star, Natalie Wood, at the airport in his Continental when she visited Memphis in October of 1956. There are home movies of Vernon driving his wife around in the Continental in the snow in early 1957. Elvis drove it often to Baton Rouge to visit on of his girlfriends. In the early '60s, Elvis sometimes loaned the Mark II to Priscilla to drive to high school. In the late 1960s, Elvis was still driving his Continental Mark II. 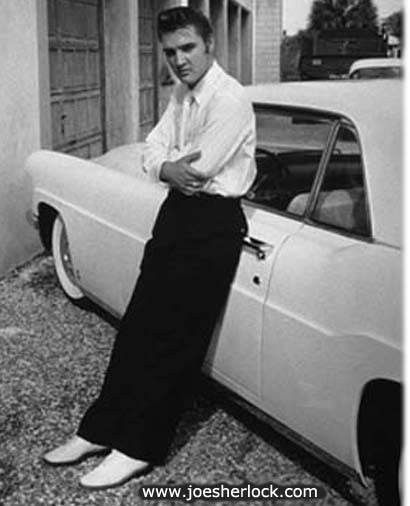 Elvis almost always bought new cars and didn't usually keep them very long. Most of his new Cadillacs and Lincolns were gone in a year or two - often given away to friends and admirers. The only '50s car that Elvis kept until his death was his mother's 1955 pink and white Cadillac 60 Series sedan. (It was stored and never driven after she died in 1958.) 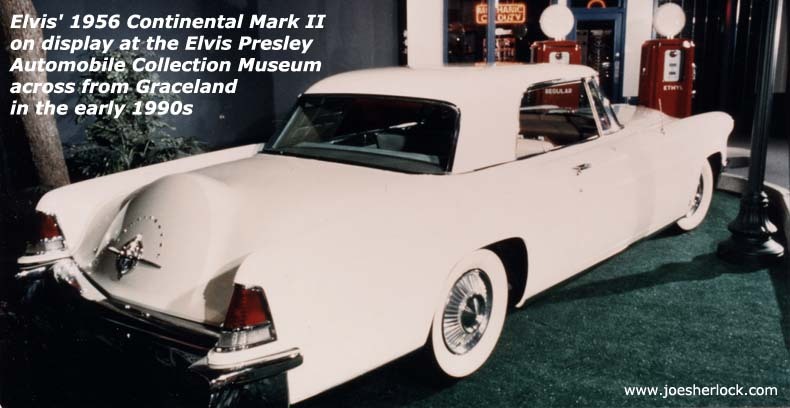 But Elvis kept one other car for a long time, too - the 1956 Continental Mark II. He held on to it until 1976, just a year before he died. No one really knows exactly why Elvis singled out the Mark II as a "keeper." Perhaps he just enjoyed driving it. Or, maybe it was a reminder of those early years of youth and happier times - a bit of sentimentality and nostalgia. That's why most of us keep our old cars, too. We have a lot more in common with Elvis than we thought.